Home of the happy camper! We offer delivery and pick-up to all the local coastal and some inland campgrounds. We deliver to Campland On the Bay, Mission Bay R.V. Park, Chula Vista R.V. Park, San Diego K.O.A., Santee Lakes, San Elijo State Beach, and Silver Strand State Beach. We also deliver trailers and motor homes to event sites, such as the Ombac Over-The-Line Tournament in July, Thunder Boat Races in September, the Del Mar Fair in June, and much more! 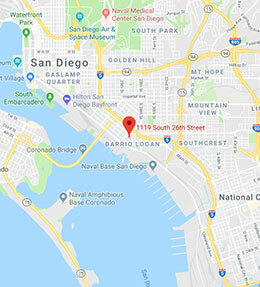 If your motor home is in the shop, don't cancel that campout in San Diego -- call us! © Copyright 2019 Travel Time Rental. All Rights Reserved.